I keep our pantry stocked with cereal because my family eats it regularly for breakfast. It doesn’t get any easier than a bowl of cereal. My kids can grab their own and I don’t have to worry about them using the stove. Our cereal shelf in the pantry is stocked with several varieties of Sally’s Cereal, a line of breakfast cereals available at select retailers across the country, including, but not limited to, Walmart, Giant Tiger, Real Canadian Superstore, Loblaws, Zehrs, Your Independent Grocer, Fortinos, Provigo, Valumart, select Sobey’s stores in the West and Atlantic regions, and Federated Co-operatives. 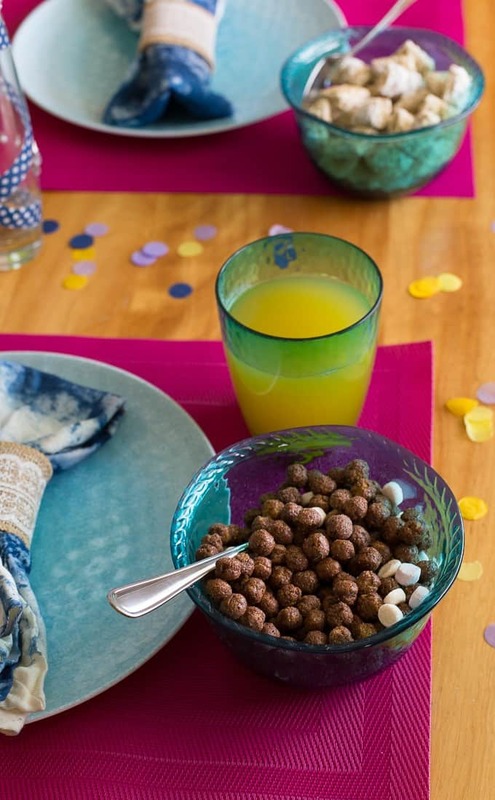 Cereal minus the box means less of an impact on the environment. As an added bonus, the resealable bag means the cereal stays fresher for a longer period of time. Cereal never lasts long in my house, but that’s good to know if you don’t eat it as often as we do here. 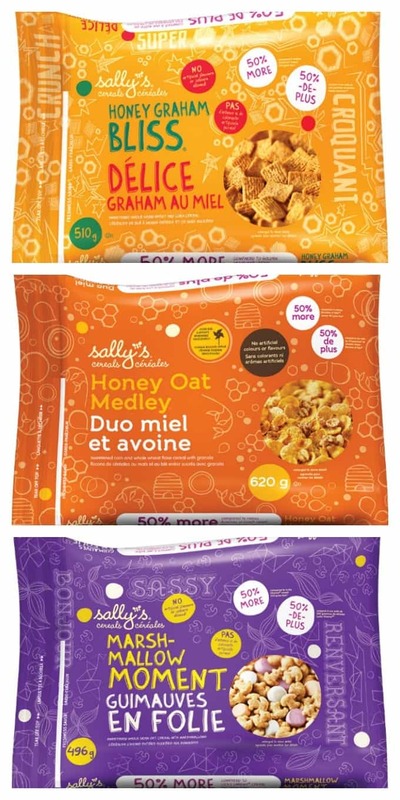 In addition, you’ll also notice that buying Sally’s Cereals won’t eat up as much of your grocery budget. They are priced lower than the national brands. And lastly, let’s not forget the most important thing: taste! 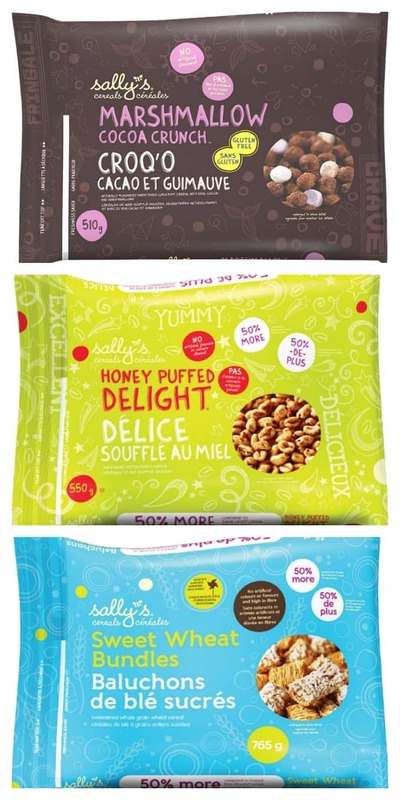 Sally’s Cereals are delicious with flavour combinations families will love. My youngest daughter loves the Cinnamon Bliss flavour. My personal favourite so far is the Sweet Wheat Bundles. Yum! 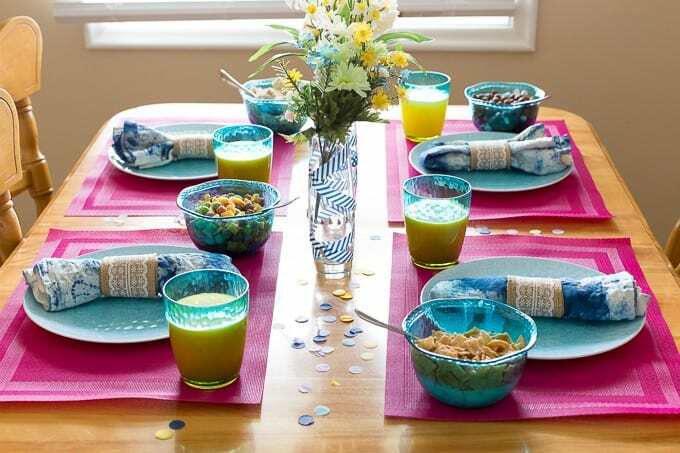 I recently surprised my family with a fun summer themed breakfast table featuring a few easy crafts and bowls of Sally’s Cereal. It didn’t take much effort to put together and turned out beautifully! 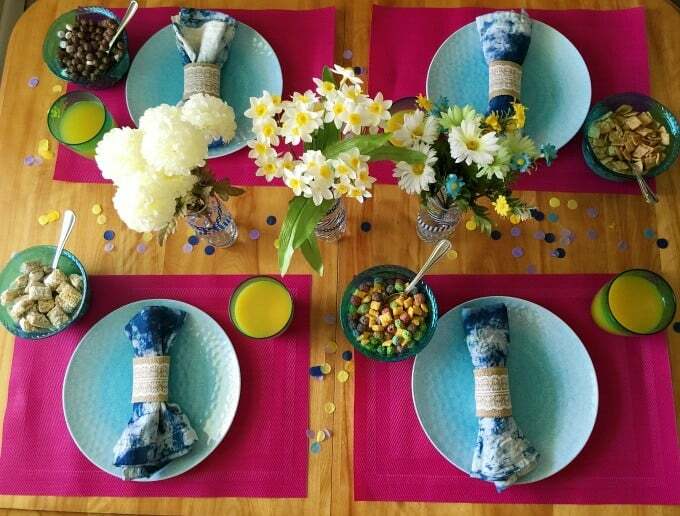 I made some tie-dye napkins a few days before. This was my first time working with tie-dye and I was surprised how easy it was to do. Mind you, I didn’t create a fancy design and went with a simpler, classic look. I used one colour, but they have kits available with multiple colours if you prefer yours to be splashier. 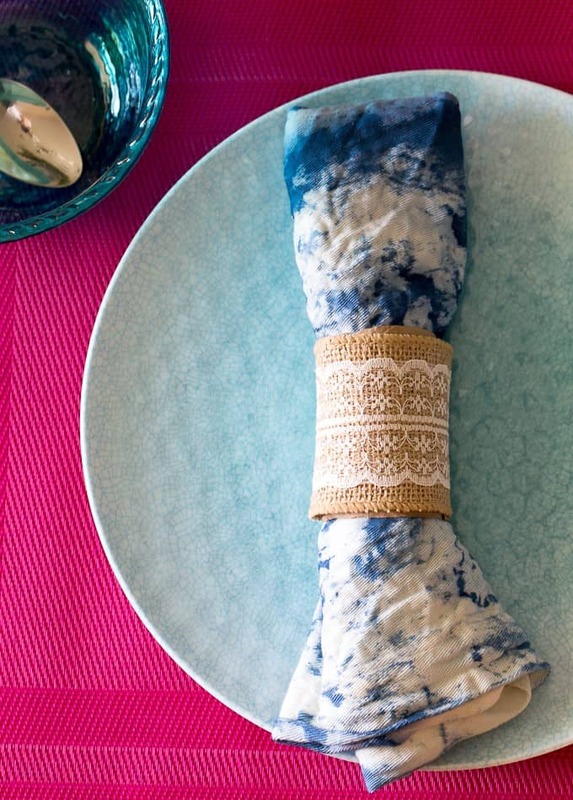 Check out the napkin ring! It’s another simple DIY. I cut a roll of paper towel and put the napkin through the tube. Then I wrapped a piece of pretty burlap fabric around it and sealed it on with a little glue. 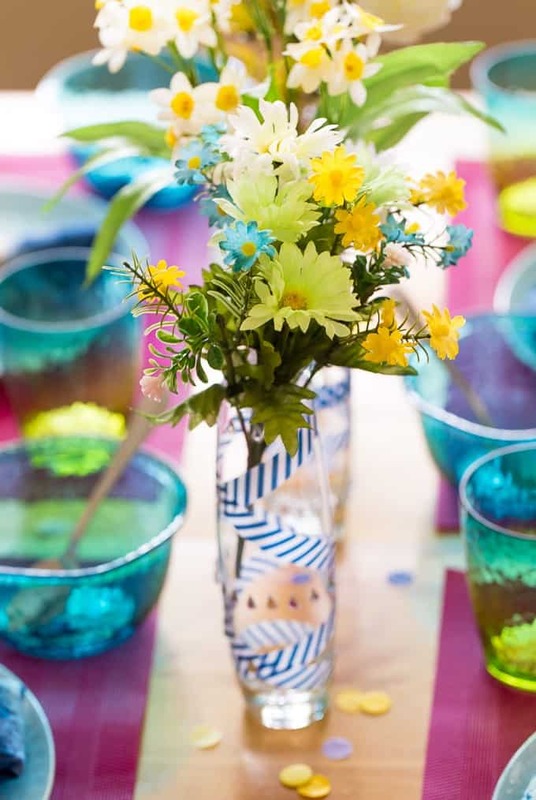 The flower vases are another DIY. Yes, I’ve been busy, but really, they didn’t take me long at all! 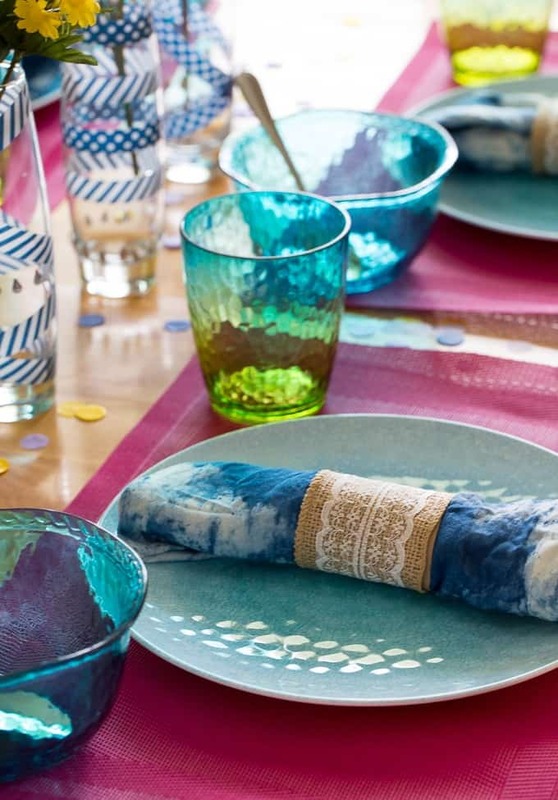 All I did here was wrap some patterned Washi tape around to create a pretty design. I added some “diamond” glitter stickers to jazz them up. Add some artificial flowers and voilà! It looks so much more inviting now than just a plain ol’ wooden kitchen table. Everyone got their own bowl of Sally’s Cereal. This one below is Bridget’s with her bowl of Marshmallow Cocoa Crunch. 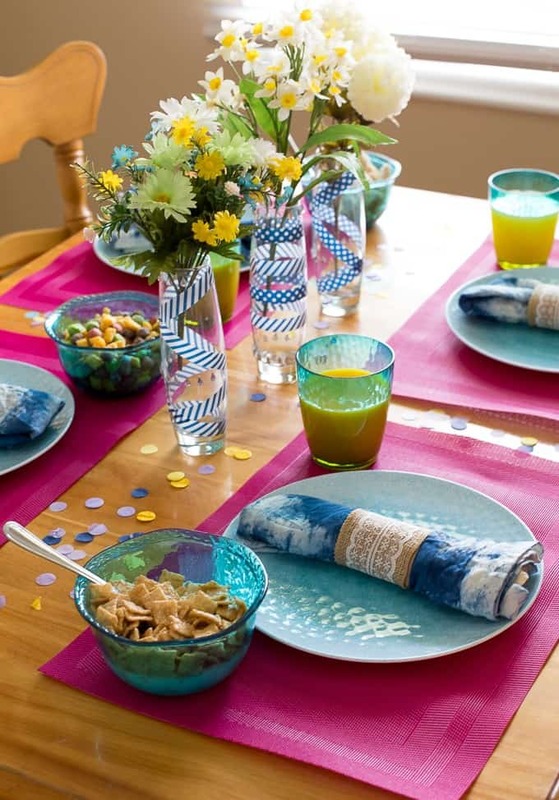 Now that you’ve seen my summer themed breakfast table, I want to see yours! As you can see, it’s not hard to do and doesn’t cost much. 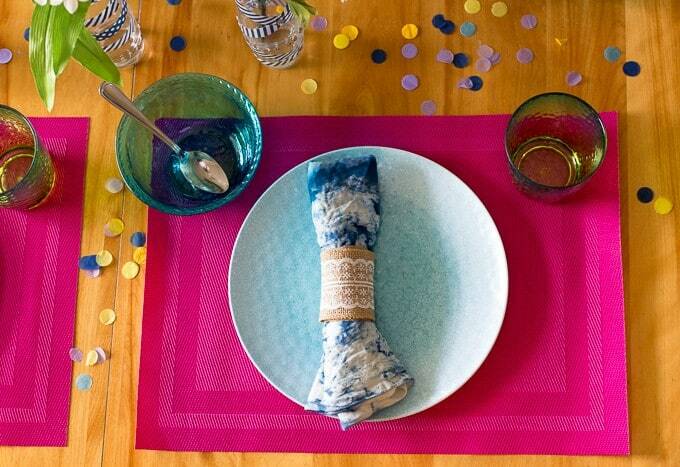 Be creative and use items you already have in your home. 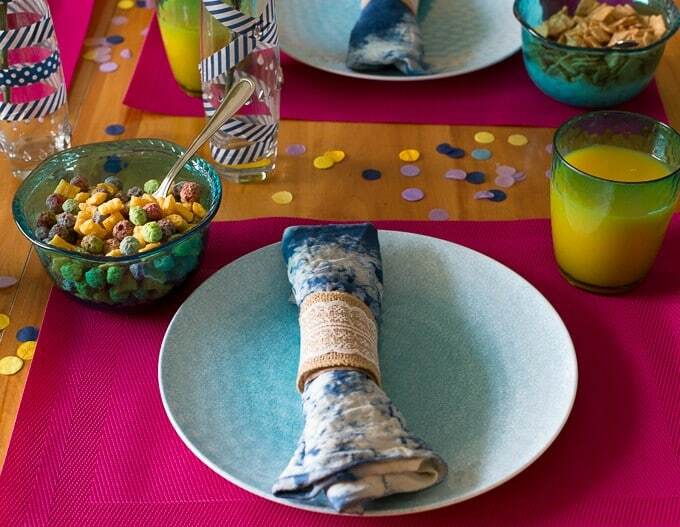 Feel free to try some of the DIY ideas featured here and gets the kids to help out too! 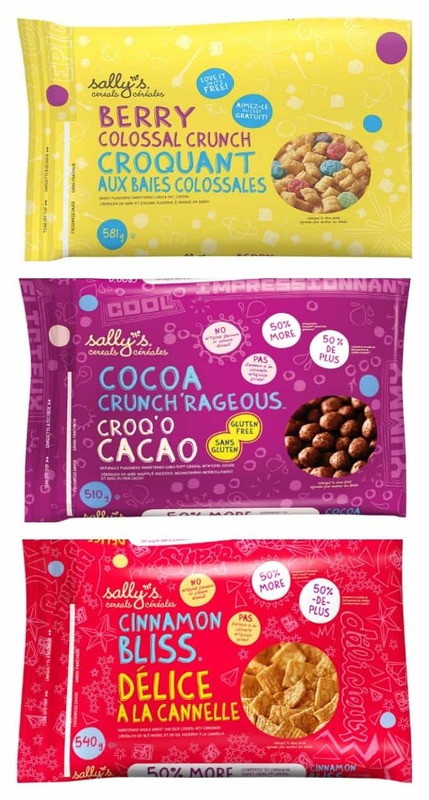 Don’t forget to buy some Sally’s Cereal next time you are out grocery shopping. I’d like to try the Honey Graham Bliss cereal. I’d try the Marshmallow Cocoa Crunch™ cereal first. Good luck. I think you’ll do well! I love to try the Honey Oat Medley first. The Berry Colossal Crunch sounds like my kind of cereal. Thanks for the chance! Would love to try out the Cinnamon Bliss on first. They have some great choices! Honey oak Medley is my choice. I would try Honey Oat Medley. i would love to try the honey puffed delight! Cocoa crunch looks good. These bags would be great for camping. I would try the Berry Colossal Crunch first. MMMMmmm, would love to try berry colossal crunch! I would love to try the HONEY GRAHAM BLISS! Looks delicious! Would like to try the honey oat medley first but they all sound yummy! I really want to try the Berry Colossal Crunch, reminds me of my childhood!